We represent Australian farmers and sell products from other like-minded farmers around Australia! Being from the land ourselves we realise how hard it is to deliver good, wholesome organic meat from the farmers paddock to your plate- and especially and surprisingly to regional areas across Australia. We were approached on countless occasions by other like-minded farmers who wanted “another way” to sell their meat and hence…Organic Meat Online was born! We have spent months attaining shipping and freight contracts that deliver Australia wide at a rate that won’t break the bank (and still be on time!) and most importantly the meat is delivered fresh and cold to you! Organic Meat Online sources only from farms where animals are provided a quality lifestyle and diet which results in a sustainable and ecologically sound “circle of life”. So if the animals want to go for a run, frolic in the rain, have a mud bath or just wander around doing nothing they can – and so the term “free range” was coined. These farms take a minimum of 3 years to attain certification from the relevant bodies responsible for providing this… It is a long process requiring many inspections, tests, soil samples and surprise visits by inspectors. These farms are quite often smaller producers who simply do not have the financial capacity nor the number of animals to justify the expense of full certification… however these farmers still practice the same techniques of organic farming. We are focused on continually growing our Certified Organic range and carry both Nitrate cured and Nitrate Free Bacon and Ham products. All our meat is shipped fresh – never frozen. 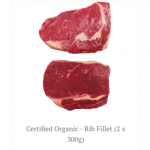 Organic Meat Online is partnered with Startrack Express, an industry leader in the management of perishable shipments who generally deliver next day to most areas of Australia. Once your order leaves us, Startrack will manage your shipment and keep you informed of any changes or issues. 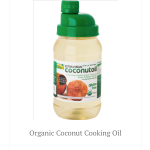 Please browse our online store as we are constantly perfecting and adding new products each month.